This rustic chest is a perfect way to add both storage space and style to your home. 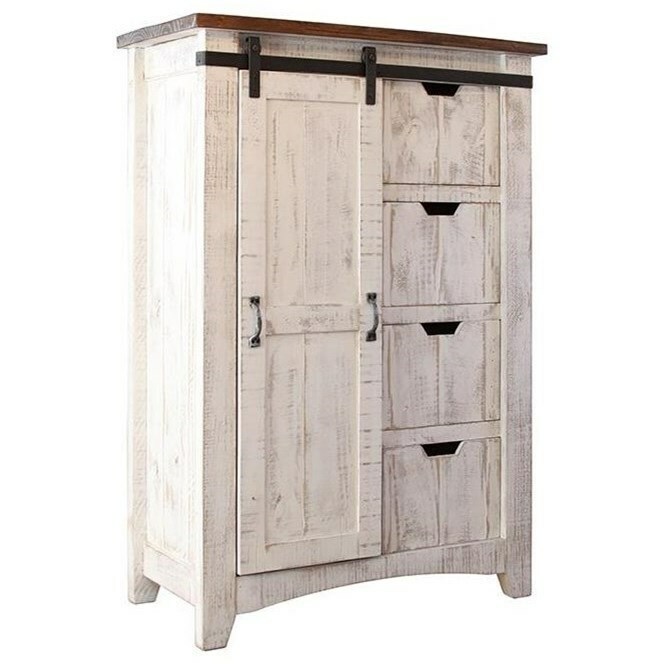 Potentially useful in any room of the house, the chest has a rustic design with a lovely distressed finish. A unique sliding door and drawers with no hardware provide a casual and fun touch to this versatile chest. The Pueblo Chest with Sliding Door and Four Drawers by International Furniture Direct at Zak's Home in the Tri-Cities, Johnson City, Tennessee area. Product availability may vary. Contact us for the most current availability on this product.